The Tax Cuts and Jobs Act (TCJA) was arguably the largest overhaul of the U.S. tax code in the last 30 years. The new legislation substantially revised the existing tax code for both individuals and businesses. These changes will affect millions of taxpayers as many rules related to individual credits and deductions were changed. This report highlights key provisions and changes under the TCJA and is intended for informational purposes only. Because of the complexities of the tax code and the unique financial situation of each household, consult a certified tax professional for specific tax planning advice. Generally, individual taxpayers will benefit from lower income tax rates across most tax brackets under the new legislation, with the top tax bracket rate being reduced from 39.6 percent to 37.0 percent. Income ranges were also raised for many brackets, effectively applying lower tax rates to a greater portion of income. High net worth households in Nevada, defined as those with $200,000 or more in annual adjusted gross income, accounted for 3.2 percent of tax returns in 2015 with an average income of $662,300, according to the latest available data from the Internal Revenue Service. While a household’s tax liability varies depending on deductions, credits and other adjustments, taxpayer data suggest that a sizeable portion of Nevada’s more than 42,000 high net worth households will benefit from the reduced tax rates in 2018. The standard taxpayer deduction was nearly doubled in the new tax code. The standard deduction rose from $6,350 to $12,000 for individuals, $9,350 to $18,000 for heads of household, and $12,700 to $24,000 for joint filers. The law also eliminated the personal exemption of $4,050 for each taxpayer and dependent, reducing the net benefit of the standard deduction increase. Nevada’s high net worth households claimed 2.5 personal exemptions per return in 2015, and about 30 percent of exemptions were for dependents. The elimination of the personal exemption potentially affects large families to a greater degree than smaller households, however, those impacts will be mitigated by doubling the child tax credit from $1,000 to $2,000. In 2015, only 20 high net worth households in Nevada claimed the child tax credit due to the income phaseout beginning at $110,000 for joint filers. The phaseout now begins at $400,000, which will make the credit available to many more high net worth families. Other impactful changes in the tax deduction framework include a lower limit on the mortgage interest deduction and a cap on the state and local taxes (SALT) deduction. Under the new law, the cap on deductible mortgage interest is reduced from $1 million in mortgage debt to $750,000. Certain grandfather provisions apply to existing mortgages, and in general the reduced cap applies only to new mortgages taken out after Dec. 16, 2017. Nearly two-thirds of Nevada’s high net worth households claimed the mortgage interest deduction in 2015. The SALT deductions for sales and property taxes are also popular among Nevada’s high net worth households, with 60 percent taking the sales tax deduction and 75 percent the property tax deduction in 2015. Under the new tax law, total deductions in this category are capped at $10,000. In Nevada, the average high net worth taxpayer claimed $4,030 under the sales tax deduction and $8,100 under the property tax deduction in 2015, suggesting some high net worth households will be affected by the SALT deduction cap. The congressional Joint Committee on Taxation expects claims for both the mortgage interest and SALT deductions to drop by about 40 percent among high net worth households. Due to these changes in the deduction framework, the Joint Committee on Taxation expects the number of U.S. taxpayers who itemize deductions to decline by 61 percent in 2018. High net worth households are expected to see a smaller decline of 45 percent, with most of that change concentrated in the $200,000 to $500,000 income group. In Nevada, 80 percent of high income households itemized deductions in 2015 compared with 23 percent for all other income groups, suggesting that the changes to the tax deduction framework will potentially have a greater impact on high net worth households. More than 90 percent of U.S. companies are pass-through businesses organized as sole proprietorships, partnerships or S corporations. Instead of paying corporate income taxes, these businesses pass any profits or losses to their owners as personal income, which is subject to individual tax rates. Under the new tax framework, filers with pass-through business income may be able to deduct up to 20 percent of their qualified business income. The entire 20 percent deduction is applicable for joint filers earning up to $315,000 in taxable income and for other filers earning up to $157,500. The deduction phases out at higher incomes depending on the type of business and other factors, including wages paid to employees and capital investments. For example, certain service-providing companies such as those in the fields of health, law, consulting, and financial services are ineligible for the deduction once income thresholds are reached. The Joint Committee on Taxation estimates that U.S. high net worth households will realize three quarters of the pass-through business deduction benefit in 2018. In Nevada, one in four high net worth tax filers reported income from sole proprietorships in 2015, with an average income of $73,300. During the same period, 44 percent of the state’s high net worth households reported income from partnerships and S corporations, with an average of $309,900. During the 2015 Nevada legislative session, Governor Brian Sandoval set out to enact a broad platform of educational reforms and funding priorities designed to improve student performance throughout Nevada. Nearly two dozen education-focused bills passed through the Legislature with broad bipartisan support, establishing a foundation for educational opportunity and success for current and future generations of Nevadans. In the 2017 session, the scope of education-related legislation was not as extensive as 2015, yet the collection of bills and budget funding passed by Governor Sandoval and legislators builds upon the foundation that was established two years ago. Below is a summary of key issues that were considered and laws that were passed during the 2017 legislative session. When education savings accounts, also known as ESAs, became law in 2015, the school voucher program provided Nevada families with new educational options by offering more than $5,000 in public funding to use for private school tuition, home schooling or other educational expenses. Before the program was implemented, the Nevada Supreme Court ruled that the program was constitutional, but the funding system, which would have used money earmarked for public education, was not. The Legislature considered implementing a weighted school funding formula that allocates additional money for higher-needs students. The estimated $1.2 billion cost to fully fund schools under the formula proved fiscally prohibitive for full implementation, leading to a compromise that many considered a positive step toward improving statewide education. Under Senate Bill 178, the state committed $72 million over the next two school years in additional funding for higher-needs students, such as English-language learners or those receiving free or reduced-price lunch. School districts will receive an additional $1,200 per student under the bill, which also directs the state to revisit and update a 2012 study on the weighted funding formula. The new funds were included in the $2.4 billion of state school funding support through the Distributive School Account, representing an 8.2 percent increase in funding compared to the 2015-2017 biennium. Since it passed late in the 2015 legislative session, the plan to reorganize the nation’s fifth-largest school district has been contentious at times and involved opposition and litigation by the Clark County School District. In the 2017 session, state legislators overwhelmingly passed Assembly Bill 469, which sought to address the district’s concerns and ease implementation of the reorganization plan. The reorganization aims to give individual schools greater control over the use of funds and curriculums. When it takes effect in the upcoming 2017-2018 school year, the plan will divide the district into 16 performance zones, with each overseen by an associate superintendent. The goal of the reorganization is to help schools and neighborhoods better address the specific needs of their students, which can vary significantly from school to school, and create a more equitable distribution of resources throughout the system. With its inaugural class starting courses this fall, the University of Nevada, Las Vegas School of Medicine received significant funding for operations and its future campus. The budget passed by the Legislature and signed by Governor Sandoval earmarked $53 million for school operations over the next two years. The Legislature also passed Senate Bill 553, allocating $25 million toward construction of the medical school’s new permanent home. That funding was made possible by an anonymous matching donation of $25 million. The medical school’s first class of 60 students begins classes this year, and the school plans to expand to 120 students per class over the next 10 to 15 years. Funding for a new building at the University of Nevada, Reno’s College of Engineering was approved in the state capital improvement plan passed during the legislative session. The plan allocates $41.5 million from the state toward construction, with private donations and university funds accounting for the remaining construction costs of the new $84 million building. The 90,000-square-foot facility will provide much-needed room for the rapidly growing college that has seen enrollment nearly double over the past decade. Governor Sandoval’s budget also included $1.75 million to begin planning a new state-of-the-art engineering building at UNLV. Two notable state college scholarship programs received critical funding during the session. The Millennium Scholarship, which is available to all Nevada high school graduates with at least a 3.25 grade-point average, received $20 million in funding over the next two years. Created in 1999 by Governor Kenny Guinn using tobacco settlement funds, the program has been operating in a deficit in recent years as costs exceeded revenues, which now include support from the state and the Unclaimed Property Fund. A new program, the Nevada Promise Scholarship, was created during the session and funded with $3.5 million. The program covers any community college tuition that isn’t paid for through state or federal college aid programs. The scholarship was modeled after a similar program in Tennessee that helped significantly boost community college enrollment. When people think of the arts and cultural amenities available in Nevada, their minds often turn to the myriad musical acts, museums and large-scale stage productions along the Las Vegas Strip. Although attractions such as Bellagio’s Gallery of Fine Art, Broadway productions like Rock of Ages and the omnipresent Cirque du Soleil shows enrich the cultural fabric of the Silver State, they represent just a portion of the arts and cultural offerings that are available to both visitors and residents throughout Nevada. In recent years, civic groups, public agencies and philanthropists have increased their commitment and investment in developing and expanding arts and cultural amenities beyond the resort corridor. These include celebrations of Nevada’s unique history such as the Mob, Neon and Atomic Testing museums, venues and events for art appreciation such as the downtown Las Vegas Arts District, the Marjorie Barrick Museum at UNLV and Sculpture Fest in Reno, and the Smith Center for the Performing Arts, a world-class institution that has hosted renowned vocalists, popular plays and other performances while providing a home for local groups such as the Nevada Ballet Theatre and the Las Vegas Philharmonic. The ongoing support and development of existing and new cultural assets strengthens the sense of community throughout Nevada. The connection between arts, culture and community was made clear in the Soul of the Community Report by the Knight Foundation and Gallup. The survey of residents in 26 cities found that Americans’ emotional connection to their communities is driven most by their communities’ social offerings, and the availability of arts and cultural opportunities was rated highest among those social offerings. The report further found that communities in the study with the highest levels of resident attachment also had the highest levels of gross domestic product growth, illustrating that investment in the arts and culture can improve a city’s economic environment by helping to attract and retain a qualified, engaged and motivated workforce. Continued development of Nevada’s arts and cultural amenities will rely to some degree on continued contributions from philanthropic households, corporations and foundations. The good news for nonprofit organizations that rely on private donations is that philanthropic trends point to positive growth as charitable giving in the Silver State has been climbing in recent years and by many measures now exceeds pre-recession levels. Charitable giving by individuals in Nevada reached an all-time high in 2014, the latest year of data available from the Internal Revenue Service. In total, Nevadans claimed nearly $1.6 billion in charitable contribution deductions, which exceeded the previous year’s total by 6.1 percent. Between 2009 and 2014, individual charitable giving increased by more than $432.5 million, a growth rate of 38.1 percent over the five-year period. The actual charitable giving amount is likely much higher, since the IRS data only captures contributions listed in itemized tax filings and therefore does not include giving by the 75 percent of Nevadans who do not itemize their tax deductions. Nevada’s high net worth households account for a significant portion of giving. In 2014, households with $200,000 or more in adjusted gross income accounted for 2.9 percent of tax returns and 53.5 percent of charitable contributions. That year, high net worth households gave $839.0 million to charitable causes, which was nearly double the $425.1 million given five years earlier. Among the 28,280 high net worth households that claimed charitable contributions, average giving per tax return was $29,700, a level that has remained relatively consistent since 2011. Average giving among high net worth households is significantly influenced by the wealthiest households. In 2014, the 2,350 households reporting $1 million or more in adjusted gross income donated an average of $249,500 and accounted for 70 percent of total giving among all high net worth households. IRS data do not indicate where those contributions were given; however, the annual Giving USA report provides a detailed picture of philanthropy across the nation. The 2016 report indicated that the arts, culture and humanities received 5 percent of all charitable giving during the year. Based on that figure, Nevada’s high net worth households donated an estimated $41.9 million to arts and cultural nonprofits in 2014. Corporate philanthropy in Nevada continues to grow as well, as the state’s largest businesses donated an estimated $132.5 million in 2015, according to the latest edition of the Nevada Corporate Philanthropy Report released by Moonridge Group earlier this month. Support for higher and K-12 education garnered the highest level of giving at 37.4 percent of donations, while arts and culture received the second-most support at 13.4 percent of corporate giving. That figure is notable, as it more than doubled the previous year’s amount of 5.6 percent and is twice the national average of 6 percent, illustrating Nevada’s growing corporate commitment to supporting arts and culture. Philanthropy by Nevada-based foundations has also provided significant support of arts and cultural causes in recent years, according to data compiled by the Foundation Center. From 2002 through 2012 (latest year of data available), the state’s largest foundations donated $229.1 million in grants to arts and culture, which was the largest area of giving during that time period. More than half of that amount, $127.5 million, was donated between 2010 and 2012, with the vast majority of that amount ($120.9 million) directed to the Smith Center for Performing Arts. The growing generosity of Nevadans bodes well for all nonprofit organizations, especially those dedicated to enhancing the cultural environment of the state. As the Silver State enhances its artistic and cultural amenities, the fabric of the community will only grow stronger. During the Great Recession and the years of economic downturn that followed, households across Nevada saw their wealth and income decline. This was true across all income levels, but high-earning households saw their incomes fall further than all other groups. In fact, the total lost income for Nevada’s high-earning households accounted for two-thirds of lost income in the state. Thankfully, several years of recovery have returned the Silver State to a period of stability and steady growth, and collective state incomes have grown significantly since hitting bottom. According to Internal Revenue Service data, the collective adjusted gross income (“AGI”) of Nevadans fell from a peak of $80.7 billion in 2007 to $67.5 billion in 2009, a 16 percent drop in just two years. The state’s high-income households, defined as those with $200,000 or more in annual income, bore the brunt of that decline. During the same time period, total AGI for Nevada’s high-income households collapsed by 41.9 percent from $28.6 billion to $16.6 billion. In fact, the $12.0 billion loss in income among high-earners accounted for 91 percent of the state’s total loss of $13.1 billion during that time. Since that 2009 trough, earnings for the high-income group rebounded 51 percent to $25.1 billion in 2014 (the latest year of available IRS data), which represented nearly a third of Nevada’s total AGI. Additionally, the total number of tax filings by Nevadans earning $200,000 or more has climbed to an all-time high. In 2014, about 39,000 filers were in that income category, which was up nearly 47 percent from the 2009 low of 26,600 and up 9 percent from the pre-recession peak of 35,800 in 2007. Although total top-end incomes have not fully recovered, more Nevada households are seeing their annual earnings grow to surpass the $200,000 threshold. High-income households in 2014 accounted for 2.9 percent of all Nevada tax filers, outpacing the pre-recession peak of 2.8 percent. These two trends – more high-earning households and rising-but-not-recovered incomes – have combined to impact the average AGI per tax filing. In 2007, Nevada households earning $200,000 or more reported an average income of $798,900. Two years later, that figure dropped to $625,100. Although that figure recovered to $796,300 in 2012, it dropped to $644,170 in 2014 as the number of filers in the high-income group surged to an all-time high. A key reason that total income has not recovered among the state’s high-income households has been the lack of a recovery in capital gains income, which accounts for about a quarter of total AGI for the group. Since the Federal Reserve has kept interest rates at historically low levels since the beginning of the recession, the rate of return on many investments has been similarly low. This leaves more volatile investments, such as stocks, as targets for earning a return. This volatility, along with a general lack of confidence in the economy leading to less overall investment, helps explain why capital gains income has had a considerably slower recovery than other sources of income. In 2007 capital gains accounted for $10.4 billion of income among Nevada’s high earners, while in 2014 that figure stood at $5.9 billion. Comparing Nevada to the United States as a whole, the collapse of capital gains income has disproportionately affected Nevadans with high incomes. While those earning over $200,000 per year across the United States received just below 27% of their income from capital gains in 2007, their counterparts in Nevada received over 36% of their income the same way. By 2014, that share for the two groups had fallen to 17.4% and 23.6%, respectively. To compound the issue, high-income Nevadans received less of their income from the more stable salary and wage category, which accounted for about 29% of their income in 2007, compared to 42% for the national cohort. This income distribution left Nevadans more susceptible to losing income through the market changes of the Great Recession than other high earners throughout the country. While Nevada was particularly hard hit by the Great Recession, there are signs that it has laid a much stronger foundation for the future. As mentioned, the total number of people in Nevada filing tax returns showing over $200,000 in income had surpassed the 2007 peak as of 2014, and has likely improved in the two years since. As new members of this group build wealth and others recover what was lost nearly a decade ago, capital gains should return as a more significant source of income for the group. Improvements in capital gains income, along with improvements already seen in other factors, should help push total income for high earners in Nevada back to peak levels. In addition, the general diversification of Nevada’s economy, where southern Nevada alone has returned to peak employment levels with 50,000 fewer construction jobs than during the 2007 peak, should help prevent Nevada from being susceptible to the economic volatility of years past. Less volatility should, in turn, promote income growth and stability for all participants in the state economy and high earners in particular, given the benefit that stability has to investments. Much like the overall housing market in Nevada, the luxury single-family home market has continued to experience an ongoing rebound after the extended period of pricing declines that stretched through the economic downturn. In both southern and northern Nevada, the luxury home market has reported multi-year climbs in median pricing as it has settled into a period of stabilization consistent with the housing market as a whole. While the luxury home market might traditionally be defined as homes worth $1 million or more, because of recent pricing volatility, the luxury home market for this analysis is defined as resale single-family houses that are 4,500 square feet or larger. In Clark County, the median price in this market segment climbed $79,000 to $900,000 in 2015, a 9.6-percent improvement over 2014 and the highest level since 2007. Despite three consecutive years of gains, the median price in the luxury home market remained 32 percent below the $1.3 million peak of 2007. This is due to the significant drop in median luxury home prices, which lost half their value in the first year of the recession and fell to $525,000 in 2012. Median prices per square foot have fallen and climbed in a similar pattern. From a high of $254 in 2007, the median price per square foot dropped by half to $124 in 2008. It continued to drop to $103 in 2012 before the recent surge pushed it up to $177, which, similar to the median luxury home price, remained 30 percent below peak levels. The prolonged period of reduced pricing triggered an extended buying spree as the existing luxury home market provided ample opportunities for bargain hunters in Southern Nevada. In 2007, 405 luxury homes were sold. 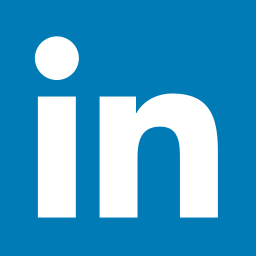 Sales jumped to 445 in 2008 and climbed to a peak of 683 in 2013. Since then, sales volumes have dipped as prices rose. Yet the 483 luxury homes sold in 2015 represented a 19-percent increase over 2007, indicating continued demand for homes in the high-end market. Currently, more than 460 resale luxury homes in Southern Nevada are listed for sale at $1 million or higher, with a median list price for the group of $1.6 million. Additionally, the majority of luxury home sales in 2015 (88 percent) were non-distressed, a significant improvement from the 31 percent reported in 2009. The pricing trends in the Southern Nevada luxury home market generally mirrored those in the rest of the housing market. Though the price recovery for luxury houses began a year later, the market has regained lost value at a faster pace over the past three years. In 2015, the median prices for luxury and non-luxury single-family homes stood at 32 percent and 31 percent, respectively, of pre-recession levels. One notable difference between the markets lies in the sales volume spike during the downturn. The luxury home market reported a significant 67 percent increase in sales between 2007 and the 2013 peak. Sales for the rest of the single-family home market surged 133 percent from 2007 to 2011 and remained at 78 percent above pre-recession levels in 2015. In Washoe County, trends in the luxury home market generally mirrored those in Southern Nevada. However, prices did not fall as far and have rebounded more quickly during the recovery. In 2007, the median price for a single-family luxury home in Northern Nevada was $1.6 million. The recession and housing collapse the following year toppled the median price to $1.2 million, a 24.8-percent decline that was only half the drop reported in Clark County. The median price dipped to $900,000 in 2010 and has continued to recover each year since. Last year, the median price climbed $219,000, a 17.8-percent surge that brought the median price to 1.5 million and within 9 percent of the pre-recession level. On a price-per-square-foot basis, the recovery in Washoe County’s luxury home market has recouped almost all of the value lost during the economic downturn. The median price per square foot reached $308 in 2007 before declining over four consecutive years to $176 in 2011. Since that point, the price has climbed to $293, which represents 95 percent of the 2007 level. Sales activity in the luxury home market in Northern Nevada is a relative fraction of the activity in the south. In 2007, just 86 high-end homes were sold. In the years since, annual sales have fluctuated between 59 in 2008 and 116 in 2013. Last year, 86 luxury homes were sold in Washoe County, exactly the same number reported before the recession. For comparison, sales for the rest of the housing market have continued to rise since 2008, and in 2015 they surpassed 8,300, about 39 percent higher than the roughly 6,000 homes sold in 2007. Perhaps no state was hit harder than Nevada when the national housing market collapsed amid the Great Recession. Yet as the state economy has regained its footing so has its housing market. Continued job and population growth across the state suggest continued demand for homes, but the market balance between rising prices and affordability will influence future pricing trends in both the luxury and non-luxury home markets. From the air we breathe, to the water we drink and the land that we walk on, the environment touches nearly every aspect of daily life. The environment is a concern of many Nevadans, including those with high net worth. In a 2014 survey of high net worth households by Nevada State Bank, 82% said ensuring long-run water resource stability was an important or very important state priority. On the topic of protecting the environment and slowing global warming, just over 4 in 10 of survey respondents said those were important or very important priorities for the state. Through the years, Nevadans have undertaken numerous initiatives with the goal of preserving, protecting and improving the environment. Below is a summary of some initiatives that have helped create a better quality of life for both current and future generations of Nevadans. In the arid Southwest, there is no greater concern for sustainability and quality of life than the availability of a stable, reliable source of clean drinking water. The Colorado River makes life possible in the desert and affects not only the quality of life, but the health and growth of regional economies, as well. For the past decade, the Colorado River has been experiencing its worst period of drought in a century. Since 2000, the surface level of Lake Mead, which is Southern Nevada’s primary water source, has dropped more than 100 feet. During this time, the Southern Nevada Water Authority has led the region through one of the nation’s most successful water conservation campaigns during one of the region’s most explosive periods of growth. Water conservation programs such as turf replacement, mandatory watering schedules, and Water Smart Homes have contributed to a 41-percent decline in daily per capita water use since 1990. The majority of that reduction (35 percent) has been realized since 2002 during the period of greatest need. Today, Southern Nevada uses as much total water as it did more than a decade ago, even though it is home to 500,000 additional residents. One of Nevada’s premier assets is its natural beauty. From the tranquil waters of Lake Tahoe in the north to the red-hued ruggedness of Red Rock Canyon in the south, Nevada is home to some of the most treasured outdoor spaces in the nation. These locations support opportunities for recreation by local residents and ecotourists who come from around the globe to experience the state’s outdoor resources. These resources, however, require care and protection to ensure that the potentially damaging effects of human interaction are kept to a minimum. That charge falls to policymakers who designate specially protected areas and the various state and federal agencies that manage them. Among states, Nevada has the highest share of land that is protected by either state or federal designation. Nearly 83 percent of the state’s 71 million acres is officially protected, including national forests, state and national parks, recreation areas and the 41 million acres of land overseen by the Bureau of Land Management. Because of Nevada’s long history of land protection, today the state portfolio of natural jewels includes Red Rock Canyon National Conservation Area, Lake Tahoe State Park, Great Basin National Park, Lake Mead National Recreation Area, Valley of Fire State Park, Mount Charleston, the recently designated Basin and Range National Monument, and many more. These areas have helped safeguard ancient historical and cultural sites, protect sensitive wildlife habitats, and preserve Nevada’s natural beauty for future generations. Nevada’s conservation efforts extend to the buildings we live and work in every day. Through renovation, retrofitting and new construction, hundreds of buildings in the state have achieved certification through the Leadership in Energy and Environmental Design (LEED) program of the U.S. Green Building Council. Nevada’s LEED-certified buildings include numerous casino-resorts, university campus buildings, hospitals, offices, retail stores, government buildings, single-family homes and apartment complexes. Nevada is home to 187 certified green buildings, including 36 that have achieved the highest rating of Platinum. Another 225 buildings in the state have applications pending for LEED certification, as well. Compared to other states, Nevada has the fifth-highest share of Platinum ratings among its certified buildings. The state’s new-home building market has also rated well under the Energy Star certification program by the U.S. Environmental Protection Agency, which awards certifications to new homes based on their energy efficiency. In 2014, 33 percent of new single-family homes built in Nevada were Energy Star certified, giving it the third-highest share among the states. The national average was 12 percent. Energy Star estimates that Nevada’s certified homes saved more than $913,000 in utility costs during 2014. These achievements are just a few of the many milestones for environmental protection and sustainability in Nevada. Ongoing efforts at the local, state, and federal levels, including the potential development of the Gold Butte National Conservation Area, will help ensure a future of sustainable community growth and preservation of the state’s natural resources for generations to come. For many Nevadans, the K-12 education system is a top issue of concern. This is particularly true for the state’s high net worth households. In Nevada State Bank’s 2014 survey of high net worth households, 78 percent of respondents said improving the state’s K-12 education programs was somewhat or very important. In the same survey, 82 percent of respondents said lowering the state unemployment rate was somewhat or very important. Unemployment and K-12 education were two of the top three issues of concern for survey respondents, while improving the state higher education system came in close behind at number four. Education and unemployment are closely linked, since 2014 federal jobs data show that when educational attainment rises, the unemployment rate falls. Last year, workers without a high school diploma had a 9.0-percent unemployment rate, almost double the national average of 5.0 percent. Workers with a high school diploma or some college fared better, but their 6.0-percent unemployment rate was still worse than average. These national trends are especially apparent in Nevada, which has one of the nation’s lowest levels of higher-educational attainment, one of the worst high school graduation rates and the highest unemployment rate. Within this context, Governor Brian Sandoval made education the top priority of his 2015 legislative agenda and rallied bipartisan support in Carson City to get roughly two dozen education-focused bills passed through the Assembly and Senate. The broad platform addressed many areas of educational change and created a new blueprint for the future of education in Nevada. Here are the key laws that emerged from the session and what they might mean for schools and families. One of Sandoval’s signature initiatives creates a school voucher program that allows parents to use public education funds to pay for private school. Any student enrolled in a Nevada public school for 100 consecutive school days would be eligible for the roughly $5,000 voucher, which would be deposited in an education savings account and could be used for attending private school, homeschooling, tutoring or other approved educational expenses. A related bill, Senate Bill 313, allows private schools to provide online distance learning. This bill creates an Achievement School District, a statewide district that would take over failing public schools and convert them into charter schools. The newly created charter schools would remain under the oversight of the Achievement School District for at least six years. If a school reaches performance standards by then, the campus can remain under the Achievement School District, become a typical state-sponsored charter school, or convert back to a public school. The state Department of Education has already identified 78 failing schools, including 49 in Clark County, that would be candidates for the Achievement School District. For decades, Nevada has funded schools at the same amount for every student in the state. This bill changes the school funding formula to provide additional funds for students who have disabilities, have limited English proficiency, live in poverty or are in a gifted and talented program. The “Read By Three” bill will provide additional literacy support for students and eventually require students to repeat the third grade if they cannot read at grade level. The bill does include exceptions for students learning English as a second language, special education students and those who demonstrate reading proficiency in other ways. In a related move, Governor Sandoval’s education budget earmarked funding to expand full-day kindergarten to all elementary schools. These two bills provide additional funding for schools with groups of at-risk students. Senate Bill 405 doubles the funding for Zoom schools, which have a high number of English language learners. Senate Bill 432 creates the Victory Schools program, which earmarks additional funding for schools in Nevada’s 20 poorest ZIP codes. Future teachers of Nevada can receive up to $3,000 a semester under the new Teach Nevada Scholarship program. Students studying education or working toward a teaching license at a Nevada college would be eligible for the scholarship. Three-quarters of the funds would be awarded while the student is in school, with the rest coming after teaching in Nevada for five years. The bill also establishes a bonus program that will pay up to $5,000 a year to new teachers working in low-performing or at-risk schools. A related bill, Senate Bill 474, creates the Great Teaching and Learning Fund with more than $16 million to enhance teacher professional development and retention. This bill, designed to crack down on bullying in schools, requires school officials to do more when investigating reports of bullying and notifying parents of bullied students. Principals and other school administrators who fail to meet those new requirements could face discipline, including being fired. More Nevada college-bound students will be eligible for the Governor Guinn Millennium Scholarship under this bill. The legislation allows students without the minimum 3.25 unweighted grade-point average to receive the scholarship if they have a certain score on either the SAT or ACT. The Nevada Board of Regents will set the minimum scores required. Governor Sandoval’s new education programs would not have been possible without Senate Bill 483, which made historic changes to Nevada’s tax structure. The bill raised the business payroll tax, increased business fees and created the state’s first tax on business gross revenue. The package is projected to raise more than $1.5 billion in revenue for state programs, including the significant expansion of K-12 education programs outlined above. Nonprofit organizations remain an important lynchpin in providing key services across the United States and around the world. From social services and education to health care and the environment, nonprofits help fill unmet community needs and supplement often underfunded public services. On top of the services they provide, nonprofit organizations across the country supply 11 percent of American jobs and 9 percent of total wages, according to The Philanthropy Outlook by the Indiana University Lilly Family School of Philanthropy. Their missions rely in large part on the generosity of the communities in which they serve, including the charitable giving of individuals and corporations. That generosity wavered during the Great Recession as wealth portfolios of households and companies suffered along with the worldwide economy. However, with better economic times, charitable giving has rebounded. In 2013, Americans donated an estimated $335.2 billion to nonprofits, according to Giving USA 2014, a report by the Giving USA Foundation. That was the fourth straight year of growth for charitable giving, a reflection of increasing financial stability and confidence among both personal and corporate donors following the Great Recession. Philanthropy researchers at Indiana University believe that trend will continue and have predicted charitable giving will rise by 4.8 percent this year and another 4.9 percent in 2016, according to The Philanthropy Outlook. If those predictions hold true, the level of charitable giving would surpass its pre-recession peak. Individuals donated an estimated $240.6 billion in 2013, or about seven out of every ten dollars given to nonprofits in America, according to Giving USA. In Nevada, individual giving accounted for at least $1.0 billion in 2012, according to a recent study of Internal Revenue Service data by the Chronicle of Philanthropy. However, the Silver State lags most states in giving rate, which is the percentage of donations compared to adjusted gross income. Nevada ranked 36th with a 2.7-percent giving rate. That’s below the national average of 3.0 percent and less than half of Utah’s nation-leading 6.6 percent. The news wasn’t all bad, however. Nevada’s giving rate improved the most of any state since the last study in 2006, skyrocketing 12.6 percent. That was more than twice the rate of the next closest state, Idaho. Nevada’s rise was led by the Las Vegas metropolitan area, whose giving rate climbed to 2.8 percent thanks to a 14.9-percent improvement in giving since 2006. That was easily the best mark among the nation’s 50 largest metro areas, the Chronicle of Philanthropy found. The Chronicle of Philanthropy also looked at giving patterns based on household income and found that between 2006 and 2012, the wealthiest Americans (those earning more than $200,000) cut their share of income given to charity by 4.6 percent. Meanwhile, households earning less than $100,000 increased their giving by 4.5 percent. That trend was evident in the recent U.S. Trust Study of High Net Worth Philanthropy. That report, which surveys households with at least $200,000 in annual income or $1 million in net worth, found that between 2011 and 2013, average charitable giving by high net worth households fell as a share of income by 1 percent (8.7 percent to 7.8 percent). However, the average amount of charitable giving actually climbed a healthy 28 percent, from $53,519 to $68,580. This was attributed to wealth growing faster than giving. High net worth households were also far more likely to make a charitable donation than the general population (98 percent vs. 65 percent). Another gap in giving was apparent between income levels among wealthy households, the study found. Those with wealth between $1 million and $4.9 million gave an average of $24,955, while households worth $5 million or more gave nearly seven times that amount, $166,602. For many high net worth households, philanthropy remains an important part of life. In last year’s Nevada State Bank survey of high net worth households in the Silver State, more than half (52.5 percent) of respondents said charitable pursuits were an important life goal. Six in 10 (61.5 percent) respondents also reported that they gave more to charities than five years earlier. That trend is expected to continue, based on the U.S. Trust Study that found that the vast majority of survey respondents (85 percent) said they planned to give the same or more in the next three to five years. Most of the group (85 percent) cited increased financial capacity as the reason for giving. Another 48 percent said they would donate because of the perceived need of the nonprofits or causes they support. Wealthy households donated most often to nonprofits supporting education (85.2 percent), basic needs (80.7 percent) and the arts (69.6 percent). The recent economic trends that influenced personal charitable giving also affected nonprofit donations from America’s corporations. The Giving USA report found a strong link between corporate profits and corporate giving. Companies gave $17.9 billion in 2013, which was down 1.9 percent from 2012, when soaring profits spiked corporate donations by 16.9 percent. Even with the most recent donation downturn, corporate giving over a five-year period had climbed much faster than overall giving, 19.4 percent compared to 12.3 percent in inflation-adjusted dollars, Giving USA found. In Nevada, corporations gave an estimated $134.4 million to nonprofits in 2014, according to a recent report by Moonridge Group and Applied Analysis. The Nevada corporate giving rate of about 0.2 percent of revenues outpaced the national average of 0.1 percent. That comparison is notable considering the lingering economic struggles that were felt in the Silver State well beyond the official end of the recession in 2009. In fact, every respondent in the Nevada corporate philanthropy survey reported giving the same or more in the past year despite the lagging state economy. Donations to nonprofits were spread among the spectrum of causes by Nevada’s corporations, with some notable differences compared to national trends. The top recipient of corporate donations was health and social services (34.1 percent), followed by culture and arts (12.8 percent), civic and public affairs (12.2 percent), K-12 and higher education (12.0 percent), and environment (6.2 percent). Nationally, education receives about 29 percent of corporate donations. Survey respondents cited education in Nevada as the top issue that could be improved with additional philanthropic attention. The Great Recession marked a change in wealth generation and net worth preservation for many households, including those in the high net worth segment. But while the subsequent recovery has benefitted many Nevada households, the state’s share of high net worth households — measured as a percentage of total households — has dropped slightly since mid-2012 despite the surging local housing market and improving equity markets. The number of high net worth households has also skewed younger since the first High Net Worth Report in July 2012. High net worth households are traditionally defined as those worth $1 million or more, but in some instances noted below, they also include those worth over $500,000 due to the limited demographic information available. Here are the salient findings from our most recent research of Nevada’s high net worth demographics. In Nevada, 6.9 percent of households (72,373) fall into the high net worth category, down slightly from 7.4 percent (76,200 households) in July 2012. That drop in Nevada’s share of high net worth households was in contrast to the national trend, where the share of high net worth households climbed from 7.6 to 8.0 percent. Even though wage earners achieve their highest income potential later in life just before asset depletion in retirement, household members aged 55 to 64 represented only 21.2 percent of all households (21,185 out of 164,493 households) valued over $500,000 in 2012, down from 33.2 percent in 2010. Meanwhile, the share of all high net worth households in Nevada in the youngest age bracket (younger than 45 years old) increased from 13.2 percent in 2010 to 38.3 percent in 2012 (32,373 out of 164,493 households). Although this may be a result of limited data collected as part of the survey, it is a trend worth monitoring. While the demographics of high net worth households as a whole may be shifting younger in Nevada, the state still has remarkably few young high net worth households below the age of 45 (3.3 percent of all young households) compared to the national average (11.9 percent). Overall, net worth tends to accumulate during working years and deplete towards the end of life, with 18.5 percent of households aged 45-54, 17 percent of households aged 55-64 and 18 percent of households aged 65-74 worth over $500,000. Only 13.8 percent of households over the age of 75 fall into the high net worth segment, representing a spending down of assets in retirement. Like the last survey showed, high net worth individuals in Nevada tend to be married homeowners, with a 59.2 percent marriage rate among high net worth households (18.1 percentage points higher than all other households) and a 97 percent home ownership rate (23.7 percentage points higher than other households). Total household net worth across the United States fell slightly in the third quarter of 2014 to $81.3 trillion. This was the first quarter-to-quarter decrease in net worth since the third quarter of 2011. Since the beginning of 2009, total household net worth in the United States has increased by $26.4 trillion, or 48 percent. Philanthropic giving continues to be a very important issue to many high net worth families, with donations accounting for a significant amount of funding for state and local charities. 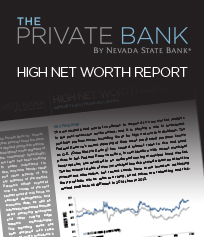 This December’s High Net Worth Report provides an update to the December 2012 issue and reflects material increases in charitable giving among Nevada’s high income households. Having largely recovered from the Great Recession and with an expectation of continued improvement in the underlying economy, higher income households appear better able and/or more willing to donate a share of their income to the social causes that mean the most to them. In Nevada State Bank’s High Net Worth Survey, 61.5 percent of respondents agreed that they give more to charity today than 5 years ago. Additionally, 52.5 percent noted philanthropic or charitable pursuits as an important personal life goal. Nevada’s average charitable contribution per tax return was $1,186 in 2012 (the latest Internal Revenue Service data available). For those with incomes greater than $1 million, 3.9 percent of total income was given to charity, a 0.9 percentage point increase from 2010. The average contribution from these high net worth households was $187,243, up 35.4 percent from 2010. In the State of Nevada, 2.0 percent of total income was written off for charitable contributions in 2012 (the latest Internal Revenue Service data available). This is a notable increase from the figure of 1.8 percent noted in our prior report, which cited 2010 data. Nationally, the average annual contribution per return was $1,369 in 2012, which is 15.4 percent higher than the Nevada average but lower than the 23.5-percent premium reported in 2010. In addition, 2.2 percent of total income was written off for charitable purposes in 2012, which represents little change from 2010. The average charitable contribution for those with incomes greater than $1 million was $146,146 nationally, 21.9 percent lower than the figure reported in Nevada. Nevadans gave a total of $1.1 billion in large ($1 million plus) announced donations in the five years ending 2013, a 39.7-percent decline from the peak reported from 2005 through 2009. Donations to in-state charities fell 46.4 percent from the peak, while out-of-state donations fell 35.9 percent. Nevada’s charities received 0.44 percent of all large U.S. donations between 2009 and 2013, or $463.6 million of $106.5 billion, a figure that is nearly double the proportion received between 2002 and 2006. Since 2003, the largest categorical beneficiary of large donations in Nevada and across the nation has been higher education, which accounted for 41.0 percent ($1.3 billion) of all donations made by Nevadans. Nationally, higher education accounted for just 28.7 percent ($94.0 billion) of large donations. The largest single recipient for fundraising since 2003 was the Smith Center, which received 16.3 percent ($199.4 million) of all Nevada-bound large donations. The organization was followed by the Nevada Cancer Institute ($187.2 million), UNLV ($165.9 million) and the Nevada Community Foundation ($141.8 million), which received most of their contributions from 2013 to 2014. The Nevada Community Foundation’s rank as the fourth-highest recipient is particularly interesting. The organization works with High Net Worth clients to facilitate their philanthropic needs by helping to establish and manage funds for donors. Clients are able to focus primarily on philanthropy, while the organization handles all of the paperwork. In the past two years, this strategy has helped attract a notable increase in aggregate donations. Large donations account for an even greater proportion of funding for charities today than they did in 2010. Nevada’s average charitable donations from high net worth individuals are larger than the national average, and the ramifications of these contributions are felt not just in Nevada, but across the country. High net worth Nevadans are a growing philanthropic force, with more local charities dependent on their funding than ever before. November’s midterm elections were an opportunity for America’s voters to voice concern over issues and state their beliefs about where the country is headed. The high net worth set certainly participated in this process; however, the issues that mattered most to them did not necessarily mirror popular sentiment. In the recent survey of Nevada’s high net worth households conducted by Applied Analysis on behalf of Nevada State Bank, respondents were asked to rank various state and national issues on a scale of 1 to 5, with 1 being the lowest priority and 5 being the highest priority. In this briefing, we look at the relative importance high net worth residents placed on key issues as they headed to the polls earlier this month. ­On average, national issues were given a higher priority than state and local issues by Nevada’s high net worth residents, with an average rating of 3.9 out of 5 for national issues as compared to an average rating of 3.7 out of 5 for the state issues. The direction of the nation’s economy was particularly worrisome to respondents, with 57.3 percent of high net worth respondents saying the nation’s economy is headed in the wrong direction, while only 24.8 percent say the state of Nevada is headed in the wrong direction. Five national issues were set apart in terms of their relative level of concern. The three largest were improving the competitiveness of the nation’s education system, reducing the political gridlock in Washington D.C. and reducing the nation’s unemployment rate. When it came to the economy and fiscal policy of the country, high net worth voters were also very concerned about reducing the national debt and balancing the federal budget. Notably, two national issues were given a particularly low level of importance by high net worth voters, with a majority of high net worth Nevadans ranking the importance of the issues 3 or below. These low ranking issues were providing universal healthcare coverage and protecting the environment/slowing global warming. Notably, these issues were the most polarized among respondents, with priority rankings concentrated in both the very highest and lowest ratings (e.g., a disproportionate number of 1’s and 5’s). Two Nevada issues were of particular concern to high net worth households. Topping the list was ensuring long-run water resource stability, with 56.0 percent assigning the issue the highest possible score. Roughly half of all high net worth residents also said improving the state’s K-12 education system was the highest level of priority. Three Nevada-centric issues were also given a particularly low importance score by high net worth households. Getting the state’s health care exchange up and running scored a median importance of 3; but, much like the related national issue, was a very polarized statistic reflecting ideological divisions among survey respondents. Other issues showed more moderation, with most residents giving them a middling priority. Improving the state’s highway system was given the middle ranking (i.e., 3 on 5-point scale) by 49.6 percent of respondents. A bit more surprisingly, reducing state and local taxes was also a middle priority for 36.8 percent of respondents and reported a below average score of 2.9. Though high net worth Nevadans seemed polarized on many issues on the national front, they seem to have a more consistent view of state and local affairs. Perhaps most importantly, there is a sense of optimism when it comes to the state’s future, which stands in sharp contrast to respondents’ views on the national economic condition. Where only 42 percent of respondents believed the nation was headed in the right direction, this figure was 71 percent when the same question was asked about Nevada. High net worth households seem to believe Nevada has special qualities and capabilities to face current challenges and is more able to address them, as compared to national issues confronting a sharply divided United States Congress. This is the one issue nearly all respondents, and voters, seemed to agree on. As the saying goes, the best laid plans of mice and men often go awry. However, when it comes to finances, most would agree that it is better to have a plan and fall slightly short than to have no plan at all. For the well-prepared individual, financial planning often proves to be central to the attainment of a number of life goals, including some that do not – on the surface – appear to be money-oriented. Put differently, life goals are considered by many to be a critical component of, and perhaps the very reason for, the financial planning process itself. According to a recent survey of high net worth households conducted by Applied Analysis on behalf of The Private Bank by Nevada State Bank, just over 86 percent of respondents said that life goals were a critical component of their financial planning process. High net worth residents each have their own unique goals, but most have also formulated unique plans that allow for informed investing decisions, calculated risks, and protection against losses. This briefing serves to highlight some of the opinions that high net worth households in Nevada hold relative to financial planning. Notably, four out of every five high net worth residents in Nevada report that they have a written financial plan that plays a role in reaching their goals. Financial planning remains a key factor in managing risks of all types, providing returns, and enabling investments in new opportunities. Further, nine out of every ten survey respondents said that they prefer to be actively involved in the management of their own finances, avoiding passive allocation options. It’s not surprising, then, that 59.8 percent of high net worth households say they are also “always” looking for a good investment. In addition, most respondents (82.1 percent) recognize that with good financial planning, they stand the best chance of minimizing their total tax liability. Providing insight into what their financial plans may contain, most high net worth residents (76.1 percent) in the state say they are willing to take calculated risks. Managing risk is a critical component of any financial planning, and a large component of such risk reduction is true asset diversification. Notably, less than one in three survey respondents believed that investors tend to take on too much risk. Less surprisingly, high net worth residents currently report that they prefer to take on risk for greater potential rewards, particularly in this long-running low interest rate environment. However, there were two particular risks that high net worth residents preferred to avoid; these included 1) taking chances with limited diversification of assets, and 2) exposing themselves to inflation risk. An overwhelming majority of high net worth respondents (93.2 percent) said that asset diversification was an essential element in their financial planning. Just as children are warned not to put all their eggs in one basket, investors are cautioned against becoming overzealous when presented with the opportunity for above-market returns, resulting in portfolios that are too heavily weighted in a single asset class or investment. Asset diversification has been proven to be an effective strategy in lowering an investor’s exposure to the potential failings of a particular asset while still providing a return from a diverse group of others, so it should not come as a surprise that high net worth residents incorporate this tenet in their financial plans. Inflation risk was also a large concern for the high income set, as 89.7 percent of respondents agreed that it was important to hedge against inflation. In the U.S., inflation, as measured by the consumer price index, has not experienced annual growth above 4 percent since 1991. However, as the Federal Reserve continues its policy of instituting low rates in the face of a rapidly recovering economy, many fear that the eventual decision to raise rates will be made too late to save the economy from a bout of inflation. Overall, high net worth households concern themselves with managing risks in all forms, ensuring flexibility, and avoiding losses from inflation and a lack of diversification. With financial plans being used as guide maps for over 80 percent of the high net worth set, 97.5 percent of those surveyed felt confident or somewhat confident in their ability to achieve all their financial goals – this bodes well for all the truly important life goals intertwined in those financial targets. Life goals — we all have them — often set both tone and tempo of our day-to-day lives. In a recent survey of high net worth households conducted by Applied Analysis on behalf of The Private Bank by Nevada State Bank, higher-income Nevada residents were asked about their top life goals. Respondents were allowed to provide multiple responses, and 86 percent of people participating in the survey indicated that these life goals were an important part of their financial planning. Thinking long-term, “assuring a quality retirement lifestyle” was the top personal goal cited by survey respondents, with nearly 8 in 10 including that particular option on their list. Nevada, of course, is a highly desirable retirement location. Not only does the state have no personal income tax, but its trust and estate laws are widely regarded as among the most favorable in the nation. As the national economy has emerged from the Great Recession, population migration into Nevada has again increased, as have the number of retirees. Notably, the first of the baby boom generation turned 65 in 2011, and for the next 18 years, roughly 8,000 people a day will reach that mark. Providing some insight into what a quality retirement lifestyle means, more than 60 percent of respondents indicated that “the ability to travel frequently” was an important life goal. Interestingly, more than 4 in every 5 survey respondents indicated that they had a trip planned in the next six months; they also indicated that travel planning was their fourth most time-consuming activity (16.2 percent), behind health planning (21.4 percent) but ahead of entertainment planning (9.4 percent). The high net worth set would seem to be well on their way to achieving this goal. Other life goals cited by over half of respondents included minimizing tax liability (57.4 percent), ensuring generational financial security (56.4 percent), getting or staying married (52.5 percent), philanthropic or charitable pursuits (52.5 percent), and putting children or grandchildren through college (50.5 percent). All of these life goals require some amount of financial planning to realize, so these also appear consistent with 86.3 percent of survey respondents stating that life goals are highly integrated with their financial plan. Perhaps most notably, most high net worth individuals were able to describe their personal goals and realized the need for financial planning to achieve them. High net worth Nevadans felt fairly confident they will achieve their personal goals, with 72.6 percent describing themselves as “confident,” 23.1 percent as “somewhat confident,” and only 4.3 percent as “not confident” that their life goals would be achieved. Clearly, this is not mere coincidence, but rather prudent prior planning facilitating positive outcomes. Nevada’s high net worth set is many things, and any attempt to paint them with a single brush will inevitably lead to a dramatic oversimplification of a diverse and highly complex segment of our society. That having been said, they do share some important similarities. They tend to be optimistic, but cautious, in planning for the future. They tend to be focused on protecting their financial security and that of their children and grandchildren. At the same time, they also tend to be highly community minded, with higher-than-average levels of time, energy and money directed at philanthropic pursuits. These outcomes, however, are not mere circumstance. The results of this survey clearly suggest that these activities, attitudes and approaches to day-to-day life are the manifestation of deep-seated personal goals and expectations for a life well lived. Nevada’s economy has made considerable strides since the depths of the Great Recession. The recently released gross state product (GSP) figures for the Silver State revealed an expansion rate of 2.4 percent during 2013, in spite of challenging pricing dynamics for the mining sector during the past year. Since the low-point of the recession in 2009, annual average GSP growth also stands at 2.4 percent. High net worth Nevadans have a slightly different perspective on this latest pace of growth. In addition to the historical look-back on economic data, resident perceptions from high net worth individuals suggest increased confidence. All of the high net worth survey respondents who thought the economy had deteriorated during the past year were employed in the mining industry, where output declined by $2.1 billion (-20.1 percent) during 2013 due primarily to falling gold prices. Mining was the only sector to post negative growth in the past year. Looking at other individual sectors, construction led the rest of the economy in growth at 8.6 percent during 2013. The second fastest growing sector was financial services with 7.1 percent growth. Other major sectors that grew faster than average include manufacturing, which grew 4.6 percent during 2013, utilities (+5.1 percent), professional and business services (+4.8 percent), retail trade (+4.6 percent), educational and health services (+4.5 percent), and transportation and warehousing (+4.3 percent). Asset appreciation has also likely been a key differentiator for high net worth Nevadans as compared to the broader population. During the past year, the trend of slower growth in housing prices for the top third of prices continued, with prices up 20.2 percent over the prior 12-month period, compared to 21.1 percent for the entire market. However, the more valuable homes also proved less susceptible during the Great Recession; in total they are only 41.8 percent below their pre-recession peak, whereas the total market remains 44.1 percent below peak value. High net worth Nevadans are also more likely to be invested in vacant land than others. Through the first quarter of 2014 (latest available data), non-resort land prices in Las Vegas rose 61.2 percent from the prior year. In total, they remain 68.5 percent below their pre-recession peak, and have a long road to reach back to previous highs. High net worth Nevadans are overwhelmingly positive about the state’s prospects for growth in the long run. When asked whether they thought the economy would get better, worse, or stay about the same in the next five years, three-fourths of respondents (74.4 percent) thought there would be improvement, 19.7 thought it would stay the same, and only 5.1 percent thought it would get worse. Comparatively, the broader community was slightly less optimistic; approximately 62.8 percent of residents suggested improvement was likely over the next five years. When the time horizon was shortened to one year into the future, the responses were less positive, with only 46.2 percent of high net worth individuals thinking the economy would get better, 49.6 percent thinking it would be about the same, and 4.3 percent thinking it would get worse. Approximately 44.0 percent of residents thought improvements were likely in the next 12 months. Though Nevada is certainly on more secure footing than in 2009, the Great Recession has left damage in its wake, including impacts on wealthier Nevadans. Asset prices still remain far below their peak, economic growth remains asymmetrical, and the future of the economy remains far from clear. Not unlike the broader population, high net worth Nevadans are cognizant of external forces and are mindful of lessons learned. Optimism sourced to Nevada’s wealthy should provide increased confidence for the broader community on a go-forward basis. High income households have one limitation that money cannot overcome; there are only 24 hours in a day. Decisions on how their time is allocated provide unique insights to the value higher income individuals place on education, work and recreation as compared to those with comparably lower incomes. Utilizing data collected and reported by the United States Bureau of Labor Statistics (BLS) American Time Use Survey, as well as a recent survey of high net worth individuals undertaken by Nevada State Bank, we can better understand the differences in how highly successful people utilize their time. Based on classifications established by the BLS Time Use Survey, a typical higher income household reports annual earnings of $150,000 or more per year (the top 9.4 percent of earners). By contrast, a lower income household reports annual earnings of $149,999 or less each year (the bottom 90.6 percent of wage earners). Additional relevant statistics are provided from the Nevada State Bank High Net Worth Survey,1 which surveyed 117 Nevada households with a net worth of $1 million regarding their lifestyle, finances and general perceptions about the economy and community. Higher income households tend to sleep less, relax less and work more. Based on the BLS Time Use Survey, an average higher income adult gets about 8 hours and 6 minutes of sleep each night. This is about 3.3 percent less than the lower income set. Time spent sleeping notwithstanding, higher income individuals also spend significantly less time relaxing each day than do their lower-income counterparts. In fact, higher income individuals report relaxing about 3 hours and 14 minutes each day, 14.7 percent less than the 3 hours and 47 minutes reported by lower income households. When it comes to hours spent working, higher income households report both a higher number of hours on the job and a higher number of hours commuting to and from work. Higher income individuals reported working an average of 5 hours and 41 minutes per day, about 4.0 percent longer than the 5 hours and 27 minutes reported by their lower income peers. Higher income individuals, however, did spend significantly more time on the road, reporting an average of 1 hour and 29 minutes in travel, largely to and from work. This was about 11 minutes more than reported by lower income households. Notably, in Nevada State Bank’s survey of higher net worth individuals, 34.2 percent indicated that travel, mobility and transportation were important community concerns. Higher income households also spent significantly more time on volunteer activities. Averaging roughly 9 minutes per day on such activities, higher income individuals’ time spent was approximately 54 percent higher than the 6 minutes spent by the lower income set. Again, this trend was also reflected in Nevada State Bank’s survey of high net worth households, where 52.5 percent of respondents said philanthropic or charitable pursuits were important life goals, and 61.5 percent reported giving more to charity today than they did five years ago. Higher income households also report spending significantly more time on financial planning. In fact, the higher income set reported spending 2 minutes and 25 seconds per day on financial planning, nearly 15 percent higher than the 2 minutes and 6 seconds reported by lower income individuals. Interestingly, the higher income individuals surveyed by Nevada State Bank reported spending more time on financial planning than business planning, personal health planning, travel planning or entertainment planning. On the whole, higher income individuals spend more time on the move, at their job and volunteering than their lower income peers. This leaves less time for sleep and leisure in their schedules. While these numbers may seem relatively insignificant on the surface, an additional 16 minutes sleeping equates to more than four days each year. Over a typical lifetime, this is more than 300 additional 24-hour days spent sleeping. The 33 minute differential in daily leisure time equates to nearly 630 days, or nearly one and three quarters years of a person’s life seeking relaxation. Each person only has 24 hours each day; small differences in how they choose to use that time may very well make all the difference. The municipal bond market continues to respond to new market realities in the post-recession environment, and it is playing a role in investment portfolio performances, including those for high net worth individuals. The Federal Reserve's recent tapering of their asset purchasing program known as Q.E. (Quantitative Easing) has caused interest rates to rise and bond prices to fall. Federal Reserve action, in combination with recent municipal bankruptcies, has resulted in an underperforming municipal bond market. The tax exempt status of many municipal bonds has made them an attractive investment alternative, but recent trends have some investors rethinking their portfolio mix as rates are rising, bond prices are retreating and risk-reward profiles look different in 2014 than in 2013. Since the onset of the Great Recession in late 2007, increased risk to municipalities and other investments led to a stampede toward public debt instruments, contributing to the free-fall in Treasury rates, which recently reached historic lows (20-year treasuries reached a low of 2.2 percent in July 2012). Meanwhile, municipal bond yields remained at a slight premium (a low of 3.3 percent in December 2012). Increased concerns regarding the performance of municipal debt started to emerge in the past year as Detroit, Michigan followed other smaller cities filing for bankruptcy protection between 2010 and 2013. Broader economic recovery has helped to stem the tide of large jurisdictional bankruptcies; however, some jurisdictions - including North Las Vegas - remain on potential default watch lists. From a local perspective, Nevada's municipal debt load at the state level is approximately $4.2 billion, and when combined with the local government debt total of $23.5 billion, the tally rises to $27.7 billion. On a per-capita basis, the municipal debt total is $10,174, slightly higher than the national average of $9,332. These above-average borrowing levels are largely sourced to the financing of infrastructure and capital requirements as a result of the Silver State's explosive growth trends in recent decades, as opposed to any shoring of short-term budget challenges through the issuance of public debt. As the state's economy continues to experience a modest pace of recovery, an expanding tax base could potentially help to stabilize and/or deleverage public balance sheets. That said, the pace of expansion in the state's resident base and public service requirements will impact the repayment formula and timing. Note that the figures described herein do not include public employee retirement and benefit obligations, which can significantly alter cash flow and balance sheet ratios. The tax free status of most municipal bond interest has meant that local governments generally incur lower interest costs for their debt, and investors earn slightly less than the United States government as a whole (Treasury interest is generally classified as taxable income). The tax-exempt status of municipal debt is an attractive attribute when considering investment alternatives and tax planning strategies. More recently, there has been some speculation that the tax free status of municipal bond interest may be in jeopardy as possible tax reforms are being discussed at the federal level. While any changes in this regard are speculative, it remains an area worthy of future monitoring, particularly for the higher income set. Investors' risk-reward profiles continue to be impacted by changes in overall interest rates. During the past year, interest rates rose considerably due to the expectation of a tapering in the Fed's Q.E. program. The large volume of bond purchases and capital injection into the economy has resulted in elevated asset prices and decreased yields across the market generally. However, concerns over future inflation led the Federal Reserve to announce the gradual ending of the program in December 2013. The action is expected to trim the pace of bond buying until a potential winding up of the program in 2014. Since the public markets had already priced in much of this risk during the months leading up to the recent decision, the actual tapering announcement had minimal near-term impact on pricing. The announcement also largely coincided with the appointment of Federal Reserve Chairman Janet Yellen. Chairman Yellen will look to balance monetary policy and economic recovery in 2014, a significant challenge that may also impact the market's performance. Not unlike other investment alternatives, municipal bond performances have experienced volatility since the Great Recession. While broader threats of default and interest rate risks remain, a stabilizing economy appears to be mitigating some of those concerns. As a result, federal action is likely to remain limited in 2014, particularly with mid-term elections on the horizon. Stability overall is expected to flow through to the municipal bond market and remain a key component of high net worth individuals' portfolios.